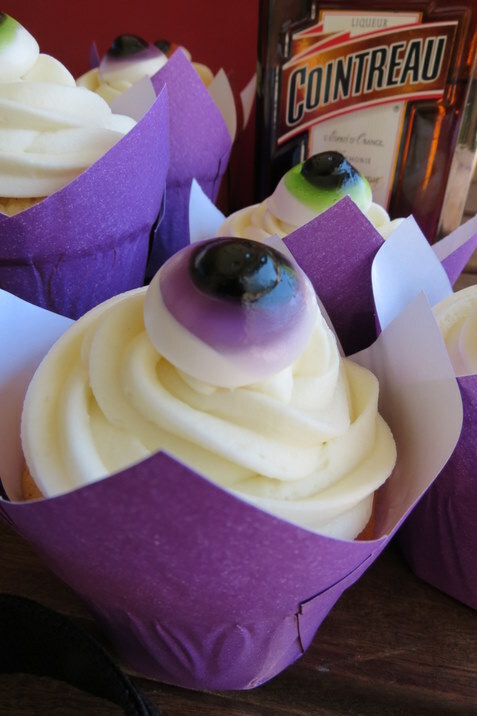 Having ‘eye-balled’ these ghoulish packets of eyeball sweets as little halloween treats for my family and friends, I couldn’t resist adding them to my Halloween Cupcakes. They were a really simple way of decorating these cupcakes but next year I will have to go for the full effect of making them look really scary and add the bloodshot veins around the eyeballs. Luckily the cupcakes weren’t scary all the way through as I added orange essence, freshly grated ginger, cinnamon and nutmeg to make Orange, Ginger and Spice Cupcakes for the occasion as I was not adventurous enough to try out a pumpkin cupcake! For an extra surprise, it was halloween after all, I added Cointreau to the creamy icing and the result was not so scary looking but delectably delicious Halloween cupcakes! ← Hippie & Millionaire Cupcakes for Kayleigh!